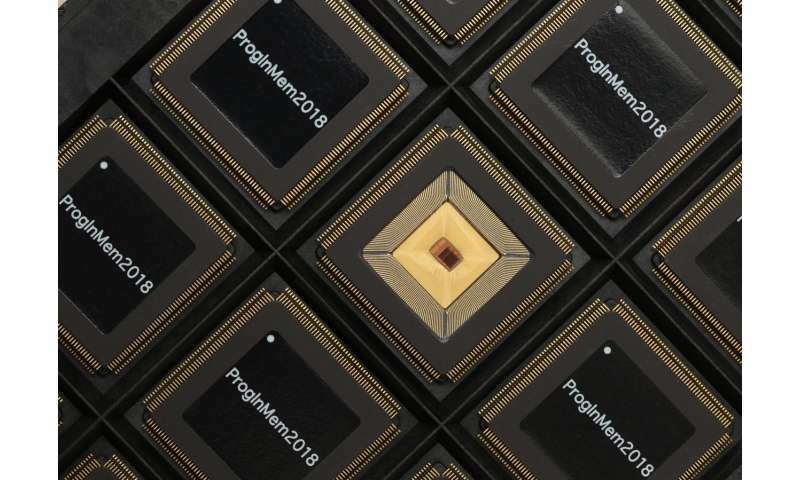 The announcement of the new chip, along with a system to program it, follows closely on an earlier report that the researchers in collaboration with Analog Devices Inc. had fabricated circuitry for in-memory computing. Lab tests of the circuitry demonstrated that the chip would perform tens to hundreds of times faster than comparable chips. However, the initial chip did not include all the components of the most recent version, so its capability was limited. "The previous chip was a strong and powerful engine," said Hongyang Jia, a graduate student in Verma's group and one of the chip designers. "This chip is the whole car." 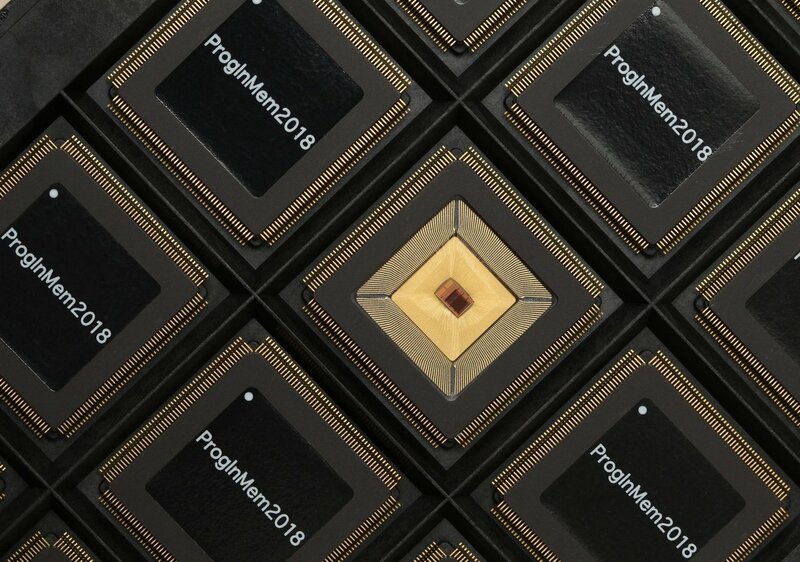 Although it could operate with a broad range of systems, the Princeton chip is intended to support systems designed for deep-learning inference—algorithms that allow computers to make decisions and perform complex tasks by learning from data sets. Deep learning systems direct such things as self-driving cars, facial recognition systems and medical diagnostic software. Verma said that for many applications, the chip's energy savings would be as critical as the performance boost. That is because many AI applications are expected to operate on devices driven by batteries such as mobile phones or wearable medical sensors. The Apple iPhone X, for example, already has an AI chip as part of its circuitry. But, both the energy savings and performance boosts are only of use if they can be accessed by the broad base of applications that need them—that is where the need for programmability comes in. "The classic computer architecture separates the central processor, which crunches the data, from the memory, which stores the data," Verma said. "A lot of the computer's energy is used in moving data back and forth." In part, the new chip is a response to the slowing promise of Moore's Law. In 1965, Intel founder Gordon Moore observed that the number of transistors on integrated circuits doubled about every year, and the industry also noted that those transistors became faster and more energy efficient in the process. For decades, these observations, which became known as Moore's Law, underpinned a transformation in which computers became ever more powerful. But in recent years, transistors have not kept improving as in the past, running into fundamental limitations of their physics. Verma, who specializes in circuit and system design, thought about ways around this squeeze on the architectural level rather than the transistor level. The computation needed by AI would be much more efficient if it could be done at the same location as the computer's memory because it would eliminate the time and energy used to fetch data stored far away. That would make the computer faster without upgrading the transistors. But creating such a system posed a challenge. Memory circuits are designed as densely as possible in order to pack in large amounts of data. Computation, on the other hand, requires that space be devoted for additional transistors. Capacitors also can be made very precisely on a chip, much more so than transistors. The new design pairs capacitors with conventional cells of static random access memory (SRAM) on a chip. The combination of capacitors and SRAM is used to perform computations on the data in the analog (not digital) domain, yet in ways that are reliable and amenable to including programmability features. Now, the memory circuits can perform calculations in ways directed by the chip's central processing unit. "In-memory computing has been showing a lot of promise in recent years, in really addressing the energy and speed of computing systems," said Verma. "But the big question has been whether that promise would scale and be usable by system designers towards all of the AI applications we really care about. That makes programmability necessary."